I don't know what it's like where you are, but here in the south it is hot hot hot!! So casual hats are definitely on my summer hit list. I used to be scared of hats. I just didn't quite know how to blend them in with the right outfit and I just never thought that they looked "right" on me. But now hats are everywhere and I have a much better idea of how to make them work for me. 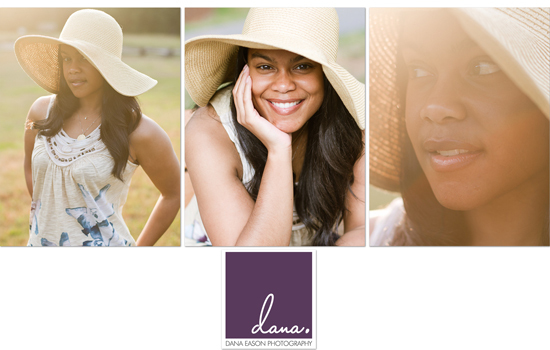 The thing I love the most about hats is their versatility. This small straw hat is perfect for lunch on the patio with friends or a day at the beach- or for a casual day when you just don't have the time to devote to your tresses. I'm loving this fedora. It's the "icing on the cake" to this chic outfit. If only I could wear hats to work! I'm lovin' me some hats right now... Are you? i love the first one. I have been eying a hat like that for a long time. I just dont know if I would wear it? I do love the look thought. Love the hats! Your photos are beautiful!! The images of you are stunning!! I love them all, so soft and beautiful. I am all about hats! You look cute!!! Love hats! Especially when the sun is beating down. I don't want to get all leathery. You're absolutely adorable in your straw hat! Thanks for sharing. Love, love, love hats! You look absolutely stunning in that hat. How you ever thoughts hat don't suit you, I cannot imagine. New hats, vintage hats, big hats, little cheeky hats ~ I love them all!